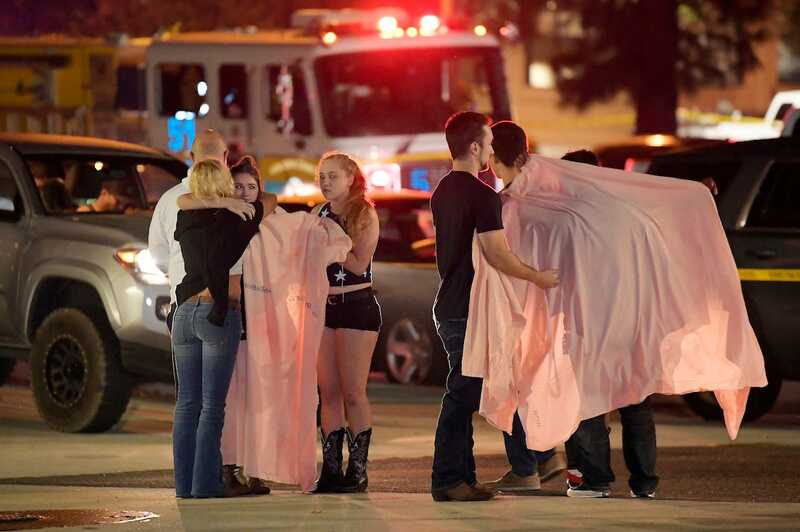 A gunman killed 12 people and injured 15 others on Wednesday at a bar and grill in Thousand Oaks, California. 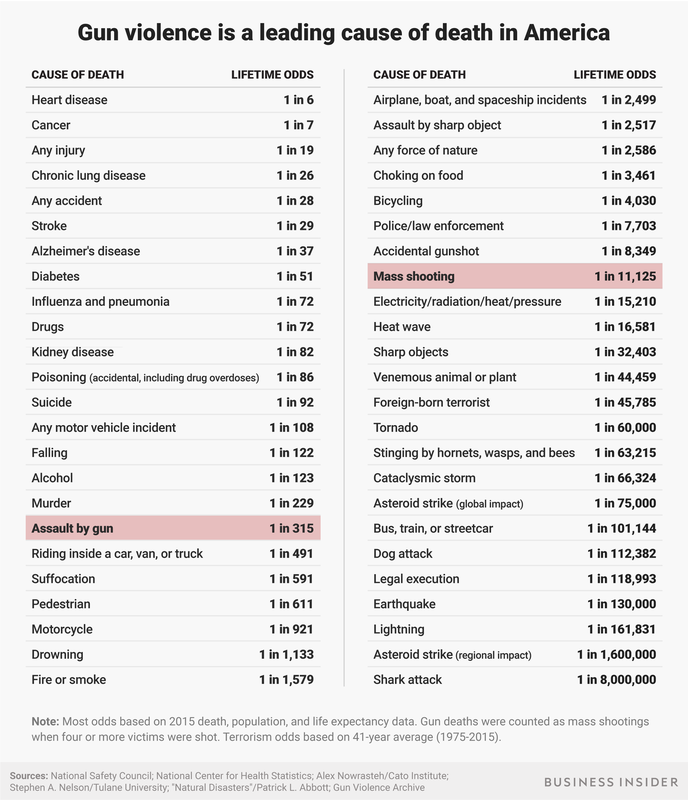 Gun violence is a leading cause of death in the US, according to the CDC. On Wednesday night at 11:20 p.m., a gunman that authorities have identified as Ian David Long entered the Borderline Bar & Grill in Thousand Oaks, California, and began shooting. By early Thursday morning, the former US marine had killed 12 people, injured 15 others, and taken his own life. The shooting is considered the 15th deadliest in recent US history, yet Long’s victims join a growing number of people killed by guns in the US. Wednesday’s mass shooting follows the murder of 17 people at Stoneman Douglas High School in February and the killings of 11 people at the Tree of Life Synagogue in Pittsburgh in October. Millions of people marched against gun violence this year, and Congress voted to loosen a restriction on the CDC’s research of gun violence, which has been in effect for about 22 years. In 2015, some 333 mass shootings left 367 people dead, according to their tally. The statistics rose in 2016 to 383 mass shootings that killed 456 people. In 2017, there were 346 mass shootings that led to 437 deaths, and so far this year, we’ve seen 307 mass shootings. „In relation to mortality rates, gun violence research was the least-researched cause of death and the second-least-funded cause of death after falls,“ the study’s authors wrote. Although the Dickey amendment has been weakened, Republicans in Congress are reportedly uninterested in restoring $2.6 million in annual funding for CDC research into gun violence. „[T]op GOP appropriators say they have no interest in funding new federal research into gun violence,“ The Hill wrote in April. This story has been revised and updated. It was originally published on February 15, 2018.